Motorola today at its Droid event officially unveiled the new line of Droid devices: Droid Ultra, Droid Maxx and Droid Mini. The company claims that the Droid Ultra is “is is all about thin,” while the Droid Maxx “is about battery.” The three devices, Droid Ultra will cost your pocket $199, the Droid Maxx will cost $299 and the Droid Mini will cost $99. The Droid Ultra features a 5-inch HD 1080p display, 2,130 mAH battery, 7.2 MM-thin body, 10-megapixel camera with 1080p video and a f2.4 lens while the Droid Maxx includes a 5-inch HD display, 3,500 mAH battery, runs for 48 hours, 32 gigs of storage and wireless charging. 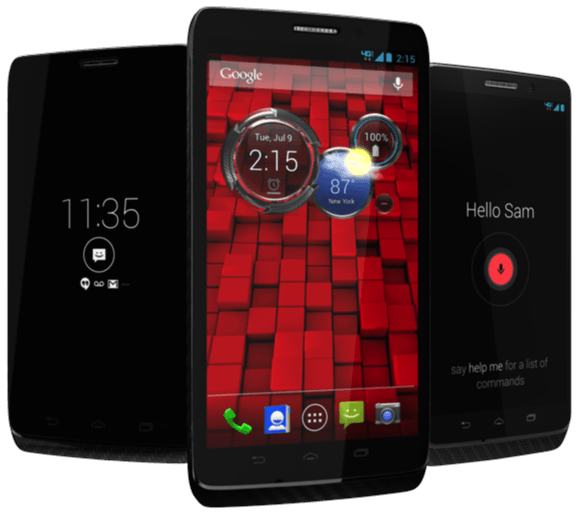 The Droid Mini features 4.3-inch HD S-AMOLED display, wireless charging.